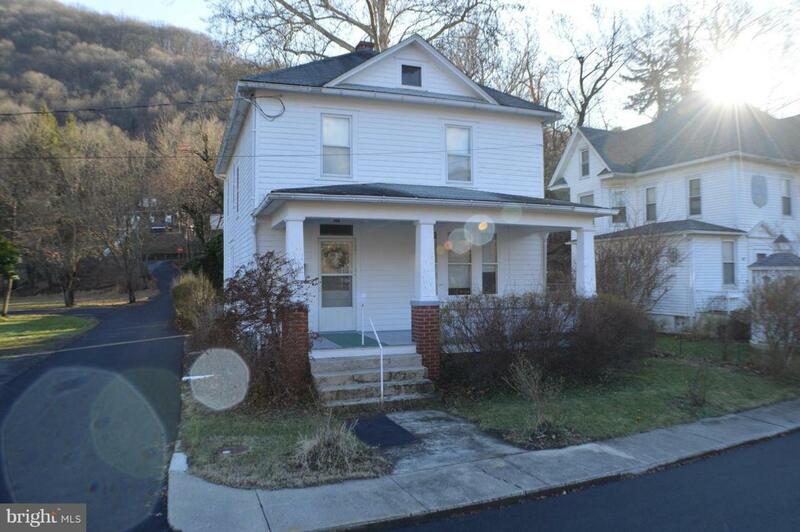 Two-story house situated on a corner lot in a nice neighborhood. Carpenter-homeowner designed and built in 1940 and owned by one family since. Enjoy a view of Burnside Memorial Park and the ducks swimming in New Creek while sitting on the swing on the full length covered front porch. 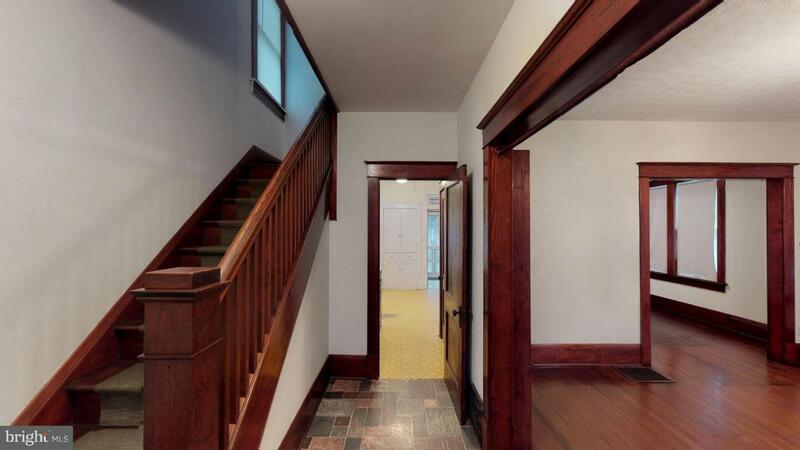 The house features an entry foyer with stairs eading to three bedrooms and one bath on the second floor. An additional room on the second level could be used for a nursery, den, office, or guest bedroom. A large linen closet is also located in the second floor hallway. A pull-down staircase leads to an unfinished attic for extra storage. A screen-in porch on the back of the house is accessible from the master and second bedrooms. All second-flood rooms have solid wood doors and linoleum over wood floors. The main floor features nine foot ceilings, custom millwork, and wood floors throughout the living room and dining room. 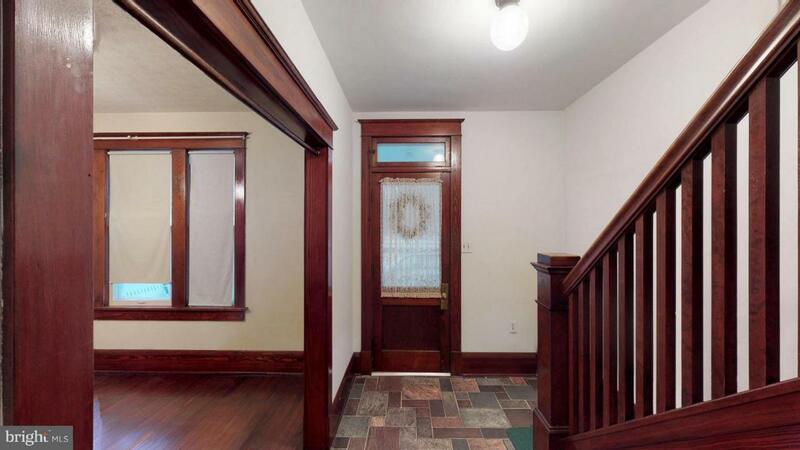 The entry foyer and kitchen floors are wood covered by linoleum. 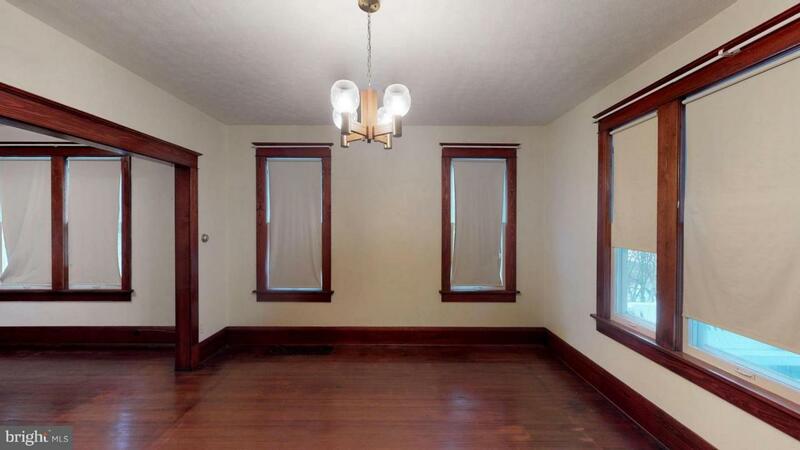 The dining room showcases built-in cabinets with glass knobs along one wall. The kitchen also features built-in cabinets and a walk-in pantry with shelves lining two walls. A deep closet is located between the foyer and kitchen. A screened-in back porch with swing is accessible from the kitchen. Four steps lead down to a nice backyard with a privacy hedge on one side and a small fenced-in garden with two raised planting beds. Unfinished basement has seven-foot ceilings, laundry hook-ups, and natural gas gravitating air furnace. A side door allows entrance down to basement or up to kitchen. House has white-painted wood siding, double-hung windows, and storm windows. Property includes a single car garage and workshop/shed with upstairs storage as well as a separate 14 x 26 storage building. Mostly level lot with slight rise in the rear.